TARANGIRE In the morning after breakfast (around 7:30 AM) your safari guide will arrive at the hotel and inform the receptionist that he is waiting for you. After meeting up with your driver you will travel to Tarangire National Park, and by 10:00 AM you will already be on your first safari! In this park you have the chance to see lots of wild Tanzanian animals (lions, buffalos, giraffes, zebras, etc. 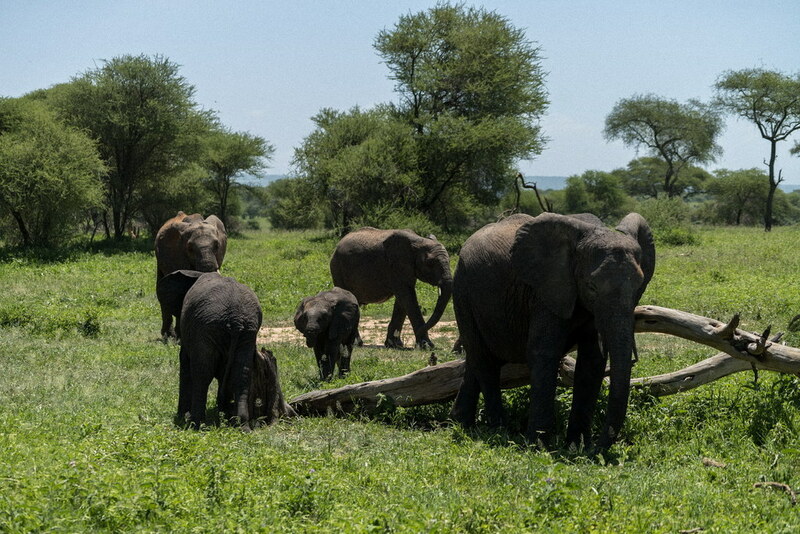 ), but above all else it is famous for its astonishing number of elephants, who typically tend to stay close to their drinking source, the Tarangire River. You should be aware that this is wild nature, so the guide cannot make any guarantees on the presence of specific wild animals, but you can be sure he will do his best to find everything you're looking for! The Altezza team has its own radio channel that the drivers use to communicate to other guides and collaborate on searches for rare species. At lunch time you will be provided a meal, after which the safari will continue. In the evening you will be transferred to the hotel located on the edge of the Ngorongoro volcanic crater. Night at safari Lodge 3*. NGORONGORO CRATER On this day it is best to leave the hotel as early as possible so you can see the variety of animals that are only active during the morning hours; breakfast will be packed in lunchboxes specifically for this purpose. At 6:30 AM you will set off for Ngorongoro Conservation Area, and after about an hour you will already be inside the crater. Ngorongoro is one of the most famous and interesting of Tanzania's national parks because here you can find the greatest number of different animal species per square kilometer. You will have the chance to see buffalo, elephants, lions, wildebeests, zebras, hippopotamus and feline species such as caracals and servals. The luckiest travelers might even see a rhinoceros, an animal whose numbers are rapidly declining. By lunch time you will arrive at the lake side, where you will be offered lunchboxes, after which the safari will continue. By evening you will finish the safari and return to Arusha. Transfer to hotel 4* in Arusha. Night at hotel.